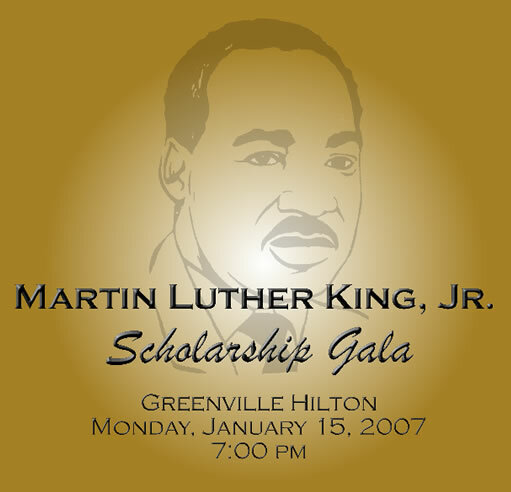 You can now purchase tickets for the 2007 MLK Scholarship Gala On-line! We are using PayPal accounts to collect and secure funds for ticket purchases, but you don't need a PayPal account to pay online. Just click on the "If you do not currently have a Paypal account" option. PayPal provides a secure, reliable way to make purchases over the Internet. For more information about their services you can visit www.PayPal.com. Tickets cost $40 plus a $1.50 online transaction fee, and proceeds help to fund the Luke H. Chatman Scholarships.Tickets are also available from each any GGL chapter member. If you purchase online, tickets will NOT be sent to you directly (even if our page does ask for your address), but your name and number of tickets you purchased will be listed at our Will Call table at the Gala. You will need a picture ID to claim your tickets. Sorry, no refunds are available after January 7, 2007. Questions, comments can be sent to contact@gglapa.org. Thank you for your support for our scholarship efforts. You can add one ticket to a cart and specify any number you wish.